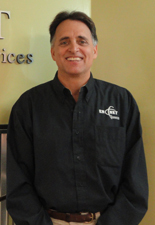 Brian Sheffer is responsible for guiding the overall strategic direction of En-Net. In addition, he is responsible for the day-to-day operations of the business including all legal, accounting, and customer support operations. Prior to En-Net, Brian spent 30 years in various engineering and sales positions with high-tech companies such as Motorola, Xerox, and the start-up SynOptics Communications. In 1982, Brian was one of the founding members of SynOptics Communications, a world leader in the development of 10BaseT/Switching/Routing Technology and structured cabling. All of Brian’s professional experience has been with companies providing products and technical services primarily to the Federal Government. As a founding member of En-Net, Kyle possesses over 25 years of information technology program management and direct sales experience while fostering client relationships with public and private sectors. Proficient with collaborating among government agencies and industry partners, Kyle has launched, directed and managed multiple large-scale information technology acquisition projects, each with a focus on delivering high quality solutions while emphasizing customer service, support and retention. Kyle has trained, advised, and consulted with industry partners such as Zebra, Eaton, Samsung, Sony, and Belkin to develop public sector programs around the unique requirements of public sector entities and value added sales organizations. Providing value to our end user clients as well as our distribution and manufacture partners is the overall objective. 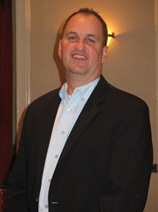 Prior to En-Net, Kyle managed sales and major accounts at Video and Telecommunications located in Springfield, Virginia. He is a graduate of Penn State University, State College, PA.